It’s a love story that will make you swoon. They met and fell for each other under the pine trees of Cuba, sharing their first kiss under the sunshine of a far away land. They would get engaged under the same pine trees, falling in love with not only each other, but with each aspect of each other’s lives and dreams. But at the very same time, they would find themselves facing the pressures of becoming first-time business owners at a young age. Yet with the support of each other and their passions, they have flourished. If that wasn’t cute enough, they also share a love of pine trees and pineapples. That’s sort of like Alina and her husband Jerry Jaskowiak. 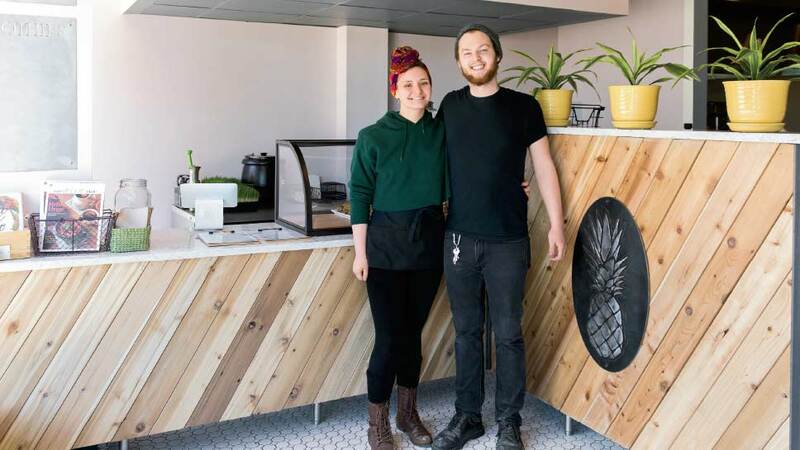 The enterprising couple are currently preparing to make another dream come true as they transform their three-year-old Pure Organic Juicery business into Pine Food Company, which will soon offer Barrington a full-service café and a fully functional kitchen that will feature everything from sandwiches and soups to salads and flatbreads, all made from scratch and with organic ingredients. Food is something that both Jerry and Alina share the same values for. Once the couple realized the impact that living a healthier lifestyle has not only their bodies, through the food that they eat—but also to the connection to our community and the earth—it only made sense that they would lead by setting a better example of how to do this within their means. It’s something that both Jerry and Alina learned about first hand as youngsters. “It’s been quite a journey,” recalls Alina, who adds that they both discovered a healthier lifestyle while dealing with various dietary issues growing up, leading them both to explore different avenues for a more conscious relationship to food and health. As owners of Pine Food Company, Alina and Jerry routinely collaborate with local farms in season. 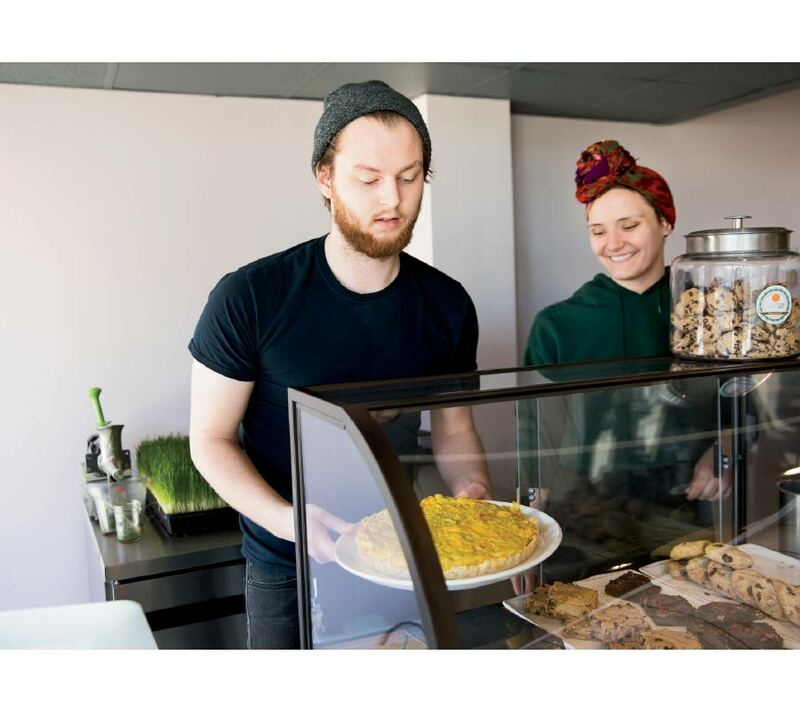 In addition, they compost 100 percent of their food waste and juice pulp—along with using recycled and compostable plastic ware for all the to-go items. And if that wasn’t enough, they also pride themselves in providing a place for the community to collaborate in every way. Of course, every love story holds its share of challenges, and Alina and Jerry are the first to admit that working and living together isn’t always bright and easy. And take it from us—it’s a love story that looks to be getting more beautiful by the minute. Pine Food Company is located at 100 E. Station Street, Unit 140 in Barrington, pinefoodcompany.com.